How do I use the Workspace Banner? The Workspace Banner can be used to add personal branding to your Coassemble workspace. This can be helpful to the participant so they're familiar with the look and feel of the workspace and also to be consistent with your current branding. 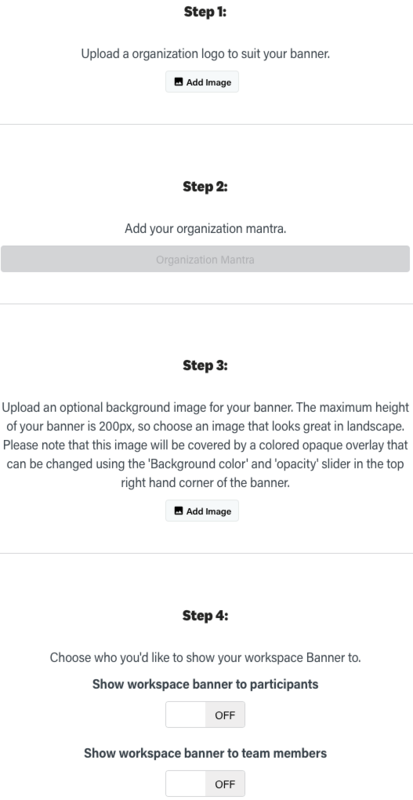 Banners can be added very easily to your workspace via the Customize tab. Navigate to the Customize page and proceed to the Banner tab. Click Save and your custom banner will now be visible to those you have selected to show it to!